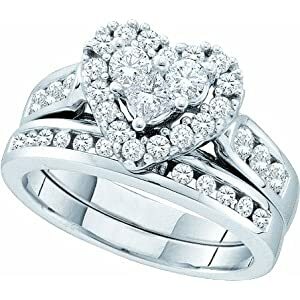 Why heart shaped engagement rings? Selecting a heart shaped diamond engagement ring is a testimony of deep love, romance and passion. It is the moment you are telling your spouse-to-be that I mean business. But watch out. Before you splash on one of these truly precious gems, it is what doing so very carefully. Not all heart shaped rings are worth the price tag on them. 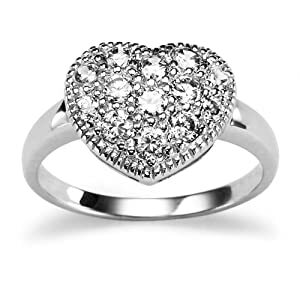 Let's show you what to look for in the perfect heart shaped ring. Polish must be perfect. Look at the point of meeting of the two halves of the hear pieces. Don't settle for any roughness. Polishing there and indeed all over the ring must be prefect. A careful look at this point will save you many years of worry. 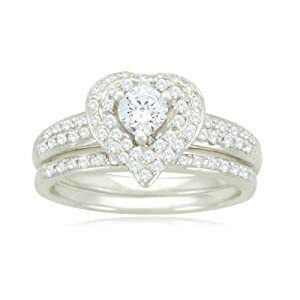 If in doubt, speak with a heart shaped ring expert, or email them to get a guarantee that your ring is the perfect ring. 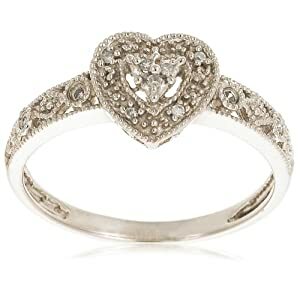 Buy from reputable heart shaped engagement ring dealers here. The heart symbol is probably the ultimate metaphor for love. Over the years it has been a dominant symbol for love, romance and devotion in art, spirituality and mysticism. It was once believed that the heart was the seat of the human mind and is still used as reference to the soul. Heart imagery is so ancient, powerful and expressive that Wikpedia has a whole article about the heart symbol. 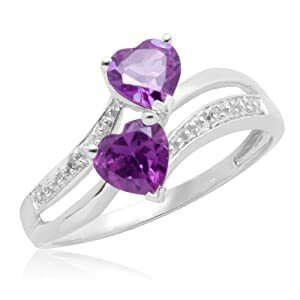 Heart shaped engagement rings combine all of these elements to represent love, binding of souls and commitment. In most Western cultures, an engagement ring is worn by the woman in acceptance of a proposal to marry. If things fall apart before the wedding, she gives the ring back, because unlike other gifts, an engagement ring is a conditional gift. Many times a woman does not want to give the ring back. In the case when the couple has purchased the ring together, she is entitled to keep it. But, if the man bought the ring, she is legally obligated to return the ring. In Irish tradition when a woman is given a heart shaped engagement ring, marriage is not necessarily the end result. She has the choice of how she will wear it. If she wears it facing in, she is telling her man and every one else that she has accepted his proposal and is now spoken for. If she wears it facing out, she is saying that she is not sure. She has been asked, but she is open to other offers. Heart shaped engagement rings are not as common as other types. Typically a solitaire, or a row of smaller diamonds set in a band, are used to signify engagements. Incorporating the symbolism of the heart into engagement rings is a logical step. Today we see it in the hippest expressions of love such as Kurt Cobain's song Heart Shaped Box for his wife Courtney, described as: "the most convoluted way of saying "I love you" ever written". The history of engagement rings can be traced back to Roman times, but was not a general practice until the 20th century, since diamonds were rare and most people could not afford to give an elaborate engagement gift. Religious groups that shunned jewelry and all types of adornment frequently used a sewing thimble as a symbol of engagement. This was especially common before the 19th century. As diamonds became more popular, the giving of diamond engagement rings also became more popular. Now, approximately 80% of engagements begin with a diamond ring. But what about heart shaped diamond engagement rings? The symbol of the heart represents deep feelings of love and truth. 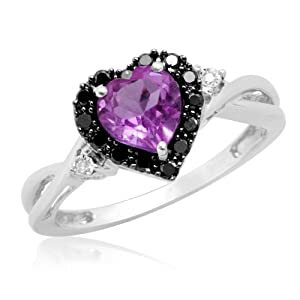 What better way to show your strong feelings and true, total and lifelong commitment? As Audrey Hepburn once said, "If I get married, I want to be VERY married." Heart shaped engagement rings are a beautiful first step down that long and lovely path.